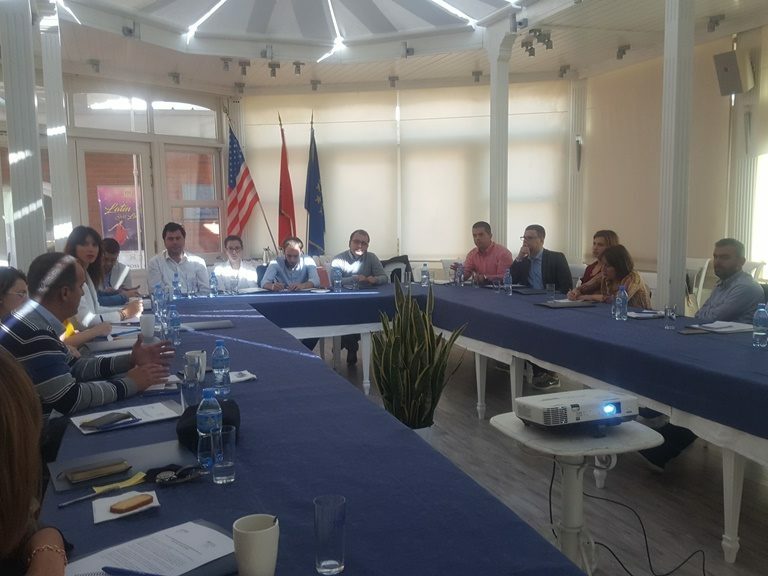 The Balkan Investigative Reporting Network in Albania held a roundtable discussion in Tirana on September 27 about the transparency of political party finances, with a focus on the campaign finances in the June parliamentary elections. The roundtable was part of a project entitled ‘Strengthening the Media’s Role in Transparency of Political Party Financing’, supported by the National Democratic Institute, NDI, in Albania and the Rockefeller Brothers Fund. About 25 journalists, experts, representatives of local NGOs and international organisations participated in the roundtable. Representatives of local organisations that monitored the June 2017 parliamentary elections shared some of their findings with local journalists and discussed ways in which media could investigative the illicit flow of money to political parties. The roundtable follows a two-day training session that BIRN Albania held at the end of April in the city of Durres. The training aimed to strengthen the skills of mid-career journalists to look closely at systemic issues of illicit financing of political parties and conflict of interest, with a special focus on the red flags raised by Central Election Commission reports. After the training session, BIRN Albania opened a call for analytical stories on political party finances, and during the electoral campaign, published one investigation and four in-depth news analyses, strengthening public debate on the issue. Following the roundtable, BIRN Albania will open a new call for analytical stories by local journalists on the topic of political party financing, looking back at the parliamentary election campaign and campaign finance reports.